This is documentation of ESP-IDF, the framework to develop applications for ESP32 chip by Espressif. The ESP32 is 2.4 GHz Wi-Fi and Bluetooth combo, 32 bit dual core chip with 600 DMIPS processing power. 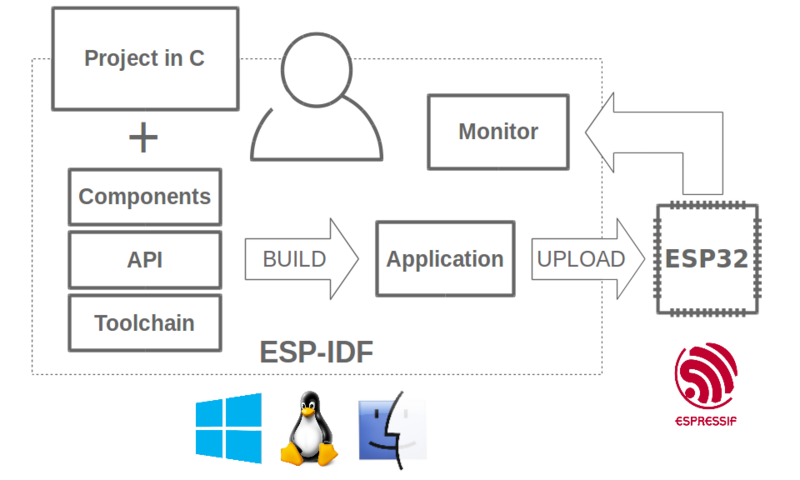 The ESP-IDF, Espressif IoT Development Framework, provides toolchain, API, components and workflows to develop applications for ESP32 using Windows, Linux and Mac OS operating systems.